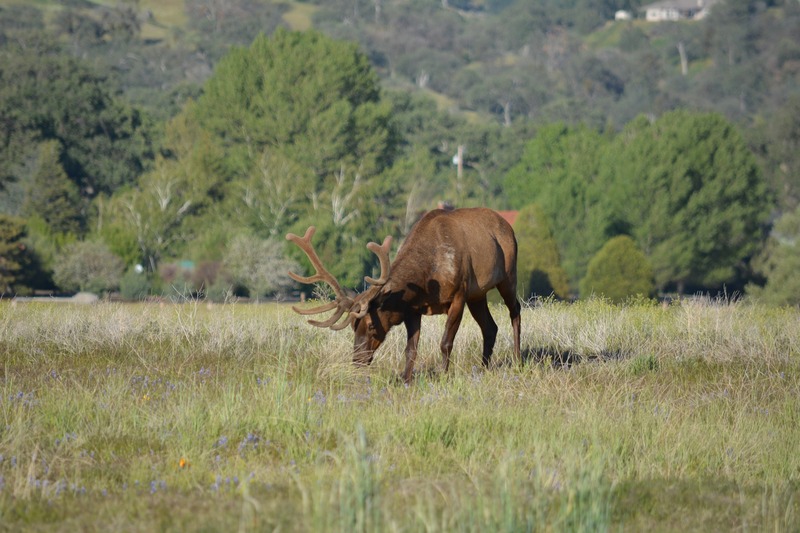 Elk Fence is specifically designed to rid elk and other large animals from landscapes. Elk are one of the largest members of the cervid species weighing between 500-700 pounds and 6' (mature female) to 8 feet tall (mature male). Significant populations of elk are found in mountainous regions of the United States including: Washington State, Oregon, California, Montana, Idaho, Wyoming, Nevada, Colorado, Utah, Arizona and New Mexico. Elk eat trees, shrubs and other plant-based foods that can be found on farms and gardens and they are particularly aggressive animals. Like their cousins, the white-tailed deer, elk herds search for food in the early morning and evening hours to avoid being seen by landowners. If home gardeners are not careful, they will find that all of their plants have been eaten by elk. Females can be particularly aggressive in the spring and males during the fall; but both are dangerous year-round.The best elk management strategy is to install elk fencing from Deerbusters.com to block browsing attempts by elk. For landowners with elk damage, shop elk fence from Deerbusters.